My name is Benedetto(Ben) and I am a broker. I am originally from Detroit and cut my teeth in the car world, working for a CDJR store. I’ve been brokering for 7ish years now (as of 2019) and run my business remotely. I operate in most states, with a few exceptions such as Alaska and Hawaii. Some of the more obscure states such as Mississippi, Alabama, and Arkansas are a bit of a challenge but I’ve successfully closed deals down there too. My business includes all NEW vehicle types and brands, purchase or lease. I also service business registered purchases/leases. I do not work on preowned vehicles unless it is an untitled loaner. I’m available most days, with Wednesday being my day off. I keep a calendar here if you’d like to see my current work schedule. I am bonded and carry the business structure to operate in this space. Lastly, I sincerely appreciate the opportunity LH has given me as a business and would like to thank @Michael & @littleviolette for building this tool that has empowered us, brokers and Hackrs alike. I started working with Ben in April 2017. My sister contacted him regarding his services (she ended up not using him only because he was honest and told her he couldn’t get her a better deal than she had already received herself) but then recommended me to him. I had been trying to get out of my Sonata and into a SUV (preferably Grand Cherokee). An issue was the negative equity in my Sonata. Went through one round of trying to get one but was unable to get the dealership to budge on my Sonata so didn’t go through with it. Ben and I stayed in touch, then in October he found me an awesome deal. 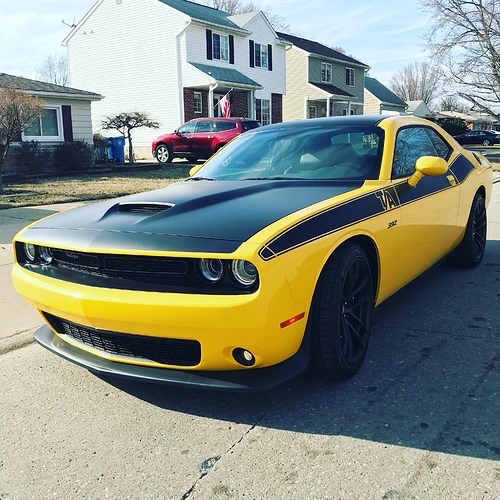 My fiancé was also in search of a vehicle when I got my Grand Cherokee and Ben steered us in the right direction with vehicle options and what range he thought he could get the vehicle for (Dodge Challenger). I cannot say enough about his services. When my lease is up in 2020, I will definitely be back (hopefully he will still offer his services). I love my GC! Ben is one of the top dogs on LH, so not much more needs to be said. The only problem is he knows it, so I’m guessing he doesn’t edit the body of his post to add more later. Ben was like a mama bird to me, teaching my to fly the nest and become a lease hacker all on my own. Great dude, will gab away with you for hours and crushes deals. The total package?! Don’t really know the residuals and mf and all that so maybe Ben can fill that in but I think Ben said it was roughly 12% below MSRP after all said and done? The money I saved is going towards tires and gas that I burn through lol. Again if you are unsure about using Bens services I wouldn’t wait he’s a great guy, knows his stuff, and doesn’t mess around! I wish I had as much luck, don’t know if it is my area or what but I have seen nothing in 2 months. I have tried giving him more models to work with but he is a ghost. Ben, if you are reading this just refund my payment and we can both move on. Or… send me some deals to look at. Cannot recommend enough. 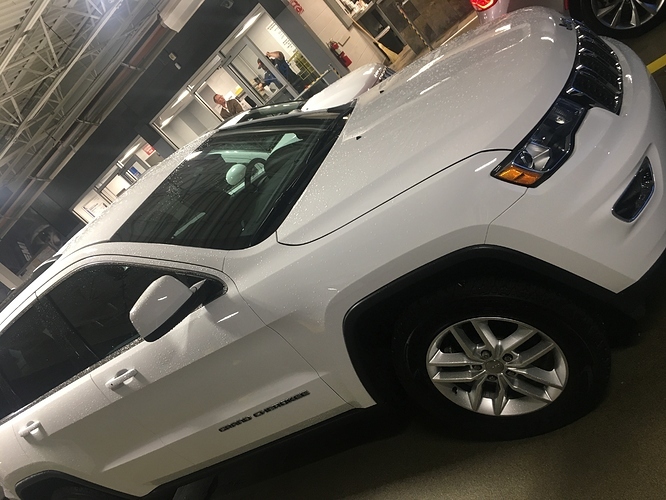 Best money I’ve spent in a long time, Ben found us our Volvo XC90 in just a few days and it only took that long because we had one deal fall apart when the dealer sold the vehicle before we finalized. He was very patient in finding us the right color and options. The key here is to listen to what he says, if he says he can’t get you some unrealistic percentage off of MSRP then listen to him. All you have to do is tell him the payment you want and how much you have to put down and then trust that he is getting you a deal. I hate to echo this post I didn’t have a great experience here. Communication wasn’t great after the first initial meeting, Ben basically ghosted on me. I never did get any quotes from him despite repeated deadlines from him. Edit: Ben did speak to me just now, we hugged it out. I was a bit frustrated due to someone else dropping the ball which wasn’t clear from the post. I probably should have reached back out to Ben after the deal I thought was done fell through although I didn’t have confidence in Ben getting back to me after the first go round. Didn’t you already explained this at great detail on another thread? Are you replying to me? I don’t think I did. Yes. I was replying to you. Someone did, but I went to your comment history and I did not find it. Your comments are very similar to someone else’s comments. This is my only account here? Either way, if someone else had the same issue then there you go. @Getrieben - That’s just on me. There is no excuse, I let him slip through the cracks. I emailed just after he posted and asked if he would like to get on the phone. Obviously, a refund doesn’t absolve the problem but it’s the only thing I can do in this situation. @BostonBro5 is someone I took in this month. If I’m not mistaken, you came to me with a quote I couldn’t beat, told me you were submitting paperwork and to refund you if I couldn’t meet a deadline. I’m not going to keep stringing you along if you’ve got a solid number. I refunded you at your request. While I’ve built a solid reputation on this forum, I still understand these are people who hired me and I expect to be held accountable. I will touch on this further when the month ends. Not busy enough to where someone should have to rip me online. The buck stops w/ me. @bostonbro5 and I just spoke on the phone. I can understand his frustration and he’s got a little extra behind it too. It’s still a lack of communication on my part and I’m glad I got him on the phone. how about discount for “time”? That would be a great way to keep a customer happy! Like $50 discount per week over the first week? Happy Customers are the best advertising. It seems all brokers are charging a retainer up front nowdays. But all brokers should see it as a two way street. The consumer makes a monetary commitment and brokers follow thru at a certain time frame. Hard to take comments from the goofy guy seriously. Benedetto was really busy when I called him but still gave my time and coached me on getting the GMC Terrain deal adjusted for 39/12 for my grandmother. Looking forward to working with him for my own vehicle very soon! I am going to write this quickly since I’m on mobile. Ben absolutely rules, he quickly picked up the phone, talked it through with me, and found me a car in 30 minutes. Blown away by the service. We both were at fault here(probably moreso me) but Ben made it more than right. I would absolutely hire Ben again if he would let me (and the wife lets me get a new car). My take away is I needed to do a better job communicating my issues to Ben, just pick up the phone and I think we wouldnt have been here in the first place. Ben had some things come up that took away his time and I should have been clearer on my deadlines. I appreciate the opportunity to make it right. Congrats on the new Rogue!